New classes start soon – it’s not too late to enroll! Like other skilled medical professionals, diagnostic medical sonographers require strong communication skills and the ability to put patients at ease, as well as a high degree of technical knowledge. At the Healthcare Training Institute, our comprehensive approach sets us apart from other sonography schools NJ has to offer as we specialize in developing well-rounded professionals. Our students receive hands-on training from highly qualified teachers, and through a combination of classroom learning and real world experience, HTI prepares graduates to enter the workforce as proficient sonographers. Our goal is to help all students succeed, and we provide the training, confidence and job placement help to launch your sonography career. Healthcare Training Institute provides skilled instructors with extensive real-world experience in the health technology field to help students graduate with the technical and personal skills that they need to succeed in an entry-level position. Our curriculum ranks high among the leading diagnostic medical sonography schools in NJ for introducing prepared graduates into the field. 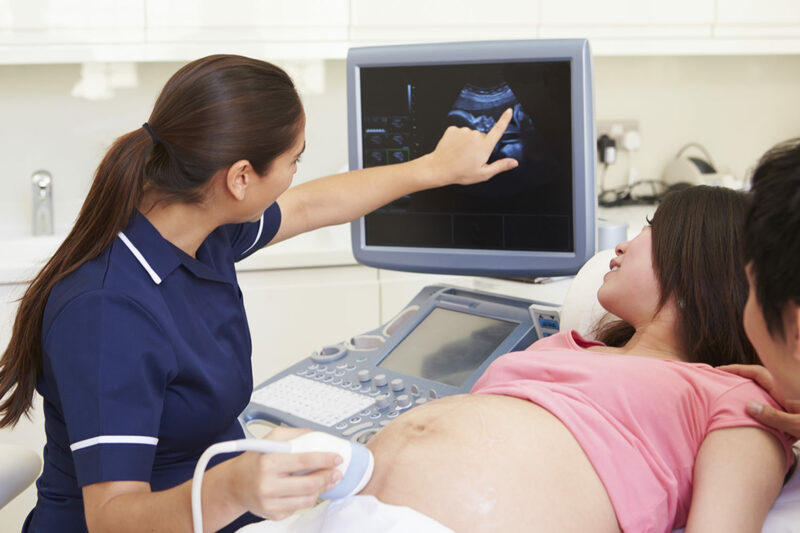 The Diagnostic Medical Sonographer (DMS) program is designed to prepare competent, entry-level sonographers in the cognitive (knowledge), psychomotor (skills), and affective (behavior) learning domains. The students will acquire a basic knowledge of medical terminology, pathophysiology, sonographic physics and instrumentation and patient care. Sonographic identification, scanning techniques and protocols for Abdomen, Small parts, OB/GYN, MSK and pediatrics. The program is focused on the general sonography concentration with complementary training in the vascular component. This allows graduates to better meet the needs of employers by having knowledge and/or experience in both general and vascular procedures. The general concentration encompasses abdominal structures, obstetrical and gynecological scanning, in addition to knowledge of pediatrics and small parts scanning (neck, breast, scrotum, musculoskeletal), as well as interventional procedures. The majority of diagnostic medical sonographers work in hospitals, while others are employed in physician’s offices, clinics, mobile and diagnostic labs, and other healthcare settings. The current demand for sonographers throughout the United States is high, and is expected to continue to increase in future years. The BLS (Bureau of Labor Statistics) estimates that the medical sonography employment field is expected to grow 39% between 2012 and 2022. This growth rate is among the fastest for all healthcare jobs. It’s safe to say the job outlook for diagnostic medical sonography students is bright. Contact Healthcare Training Institute today at (908) 851-7711 to learn more about our Diagnostic Medical Sonography curriculum. Or fill out our easy Request Information form and we’ll contact you shortly. I authorize Healthcare Training Institute to contact me via phone, cell phone, or text message.